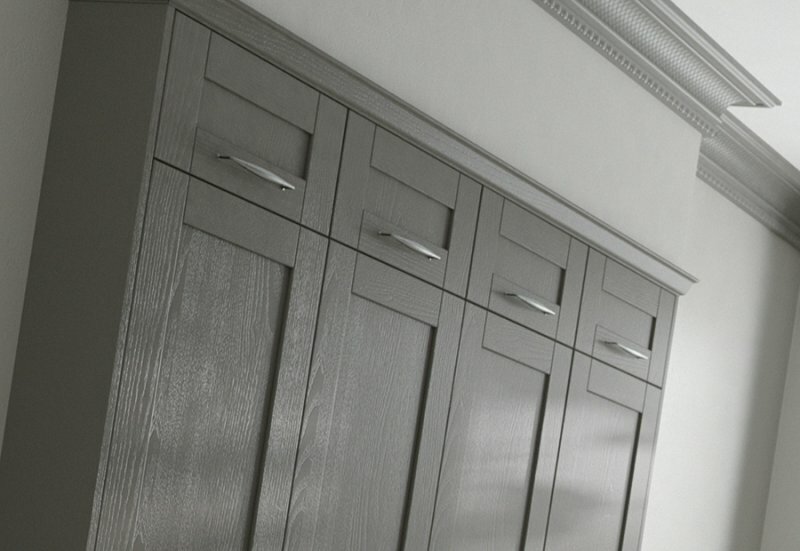 This door is effortlessly elegant and undeniably gorgeous. 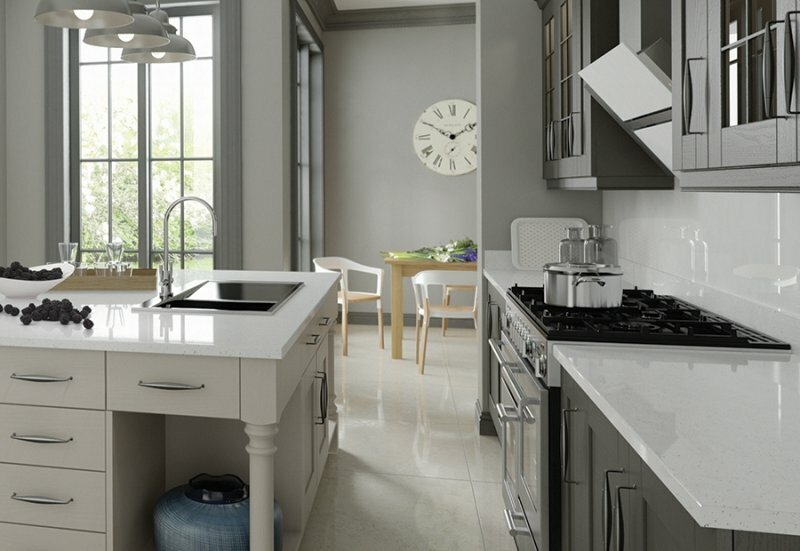 The Madison kitchen makes a sophisticated statement with its simple detailing and pure sense of style. The distinct woodgrain, visible through the painted layer, adds to the feeling of authenticity of this timeless classic. 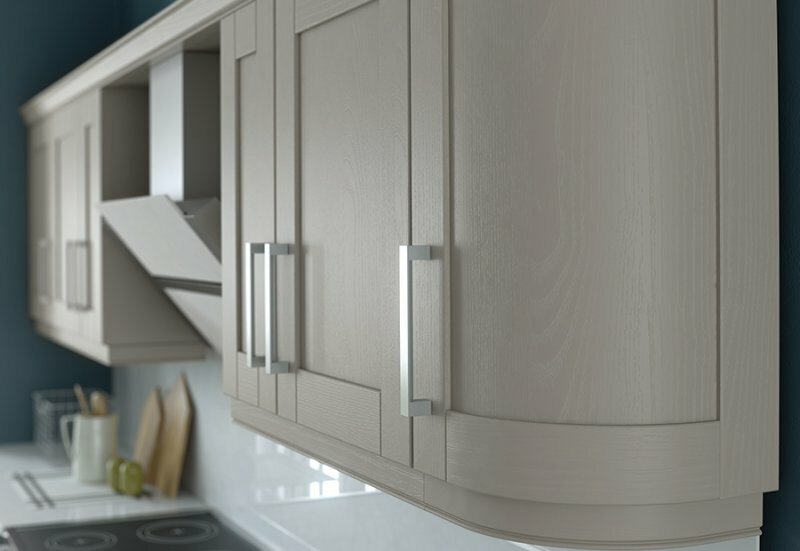 The Madison Oak & Ivory shaker door features a solid ash frame with a flat, veneered ash centre panel and a 3mm v-groove at joints. 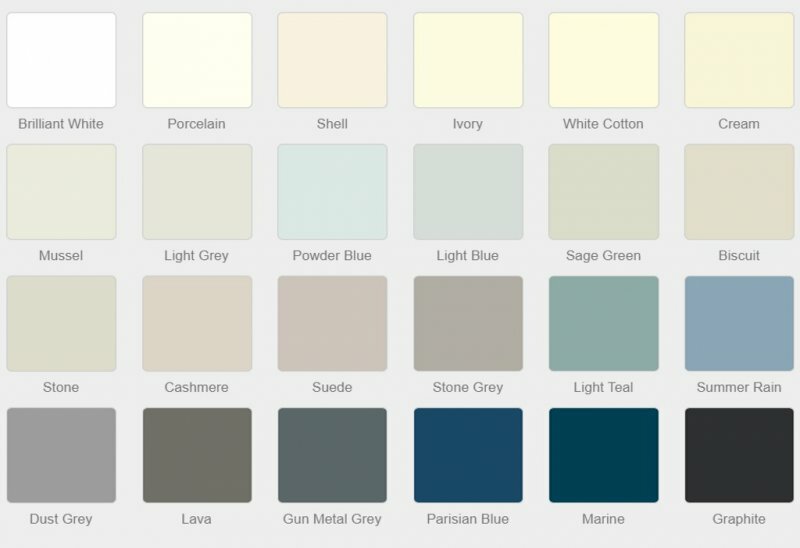 Acrylic ivory paint with brushed finish gives a greater depth of grain. 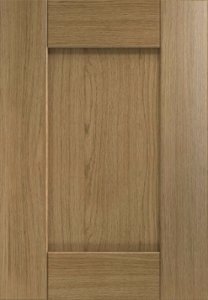 This door is available in light oak and can be painted in any of the 24 Stori standard colours or any farrow and Ball colours. 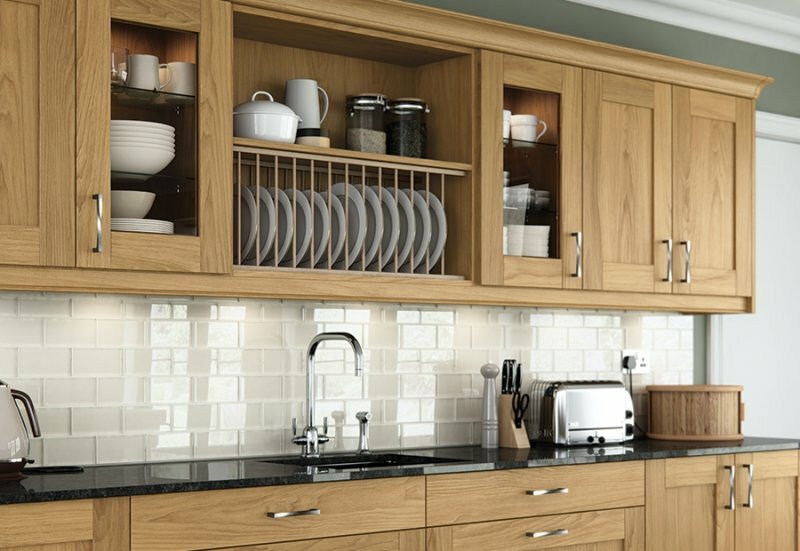 Open shelving and plate racks allow you to display special items in plain view and with easy access. 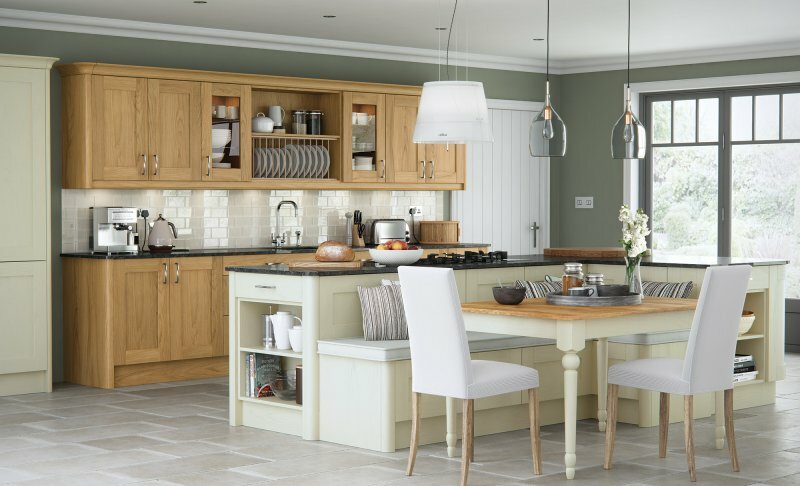 A great way to show off all your most treasured kitchen items! 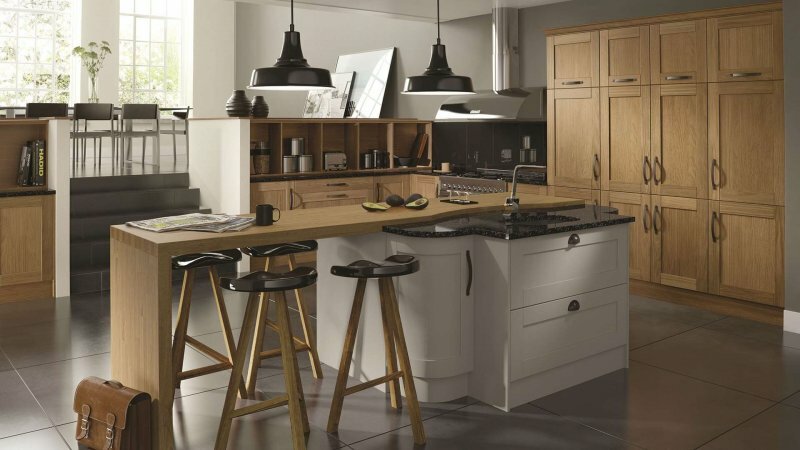 Painted and Oak finishes are beautifully combined here, enhanced by the inclusion of curves and straight lines, set off by an open shelving area. 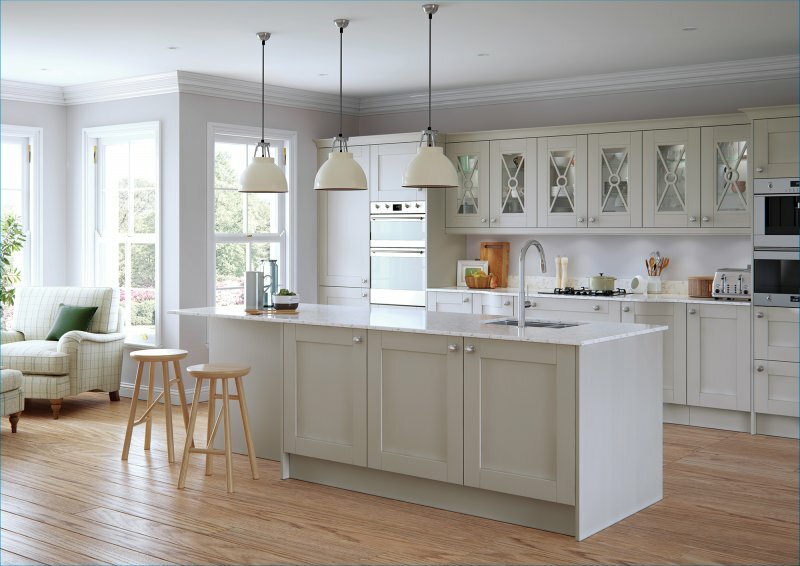 A beautiful combination of features such as island units, open shelving and plain glazed frame doors can all work in tandem to create a little touch of added luxury to your kitchen space. 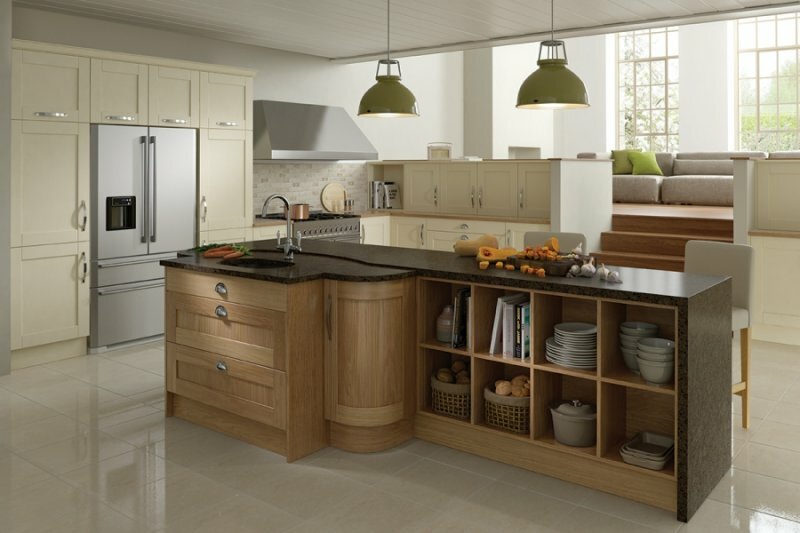 Island areas are beautiful added features to any kitchen. 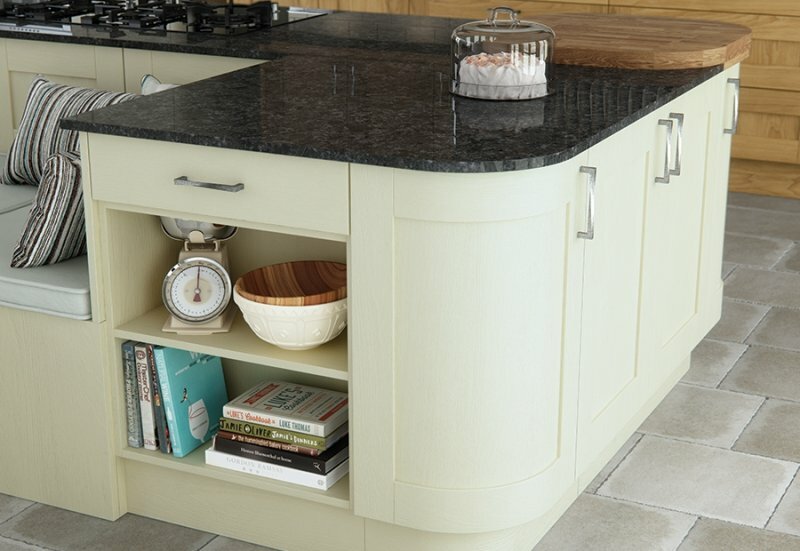 As well as being a focal point of the kitchen, a carefully designed island can add much needed space for washing and food prepping and even extra storage. 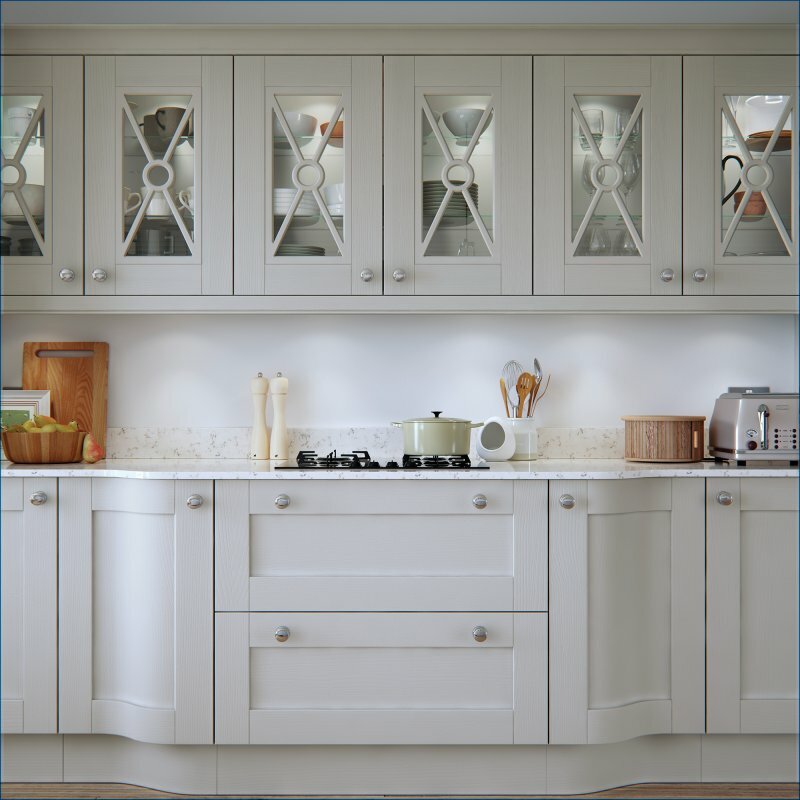 The inclusion of curved doors can add an extra design dimension to your kitchen, particularly with simple door styles such as the Madison shaker.